Peeps, let's come and celebrate the Grand Opening with us @ Mid Valley Megamall. 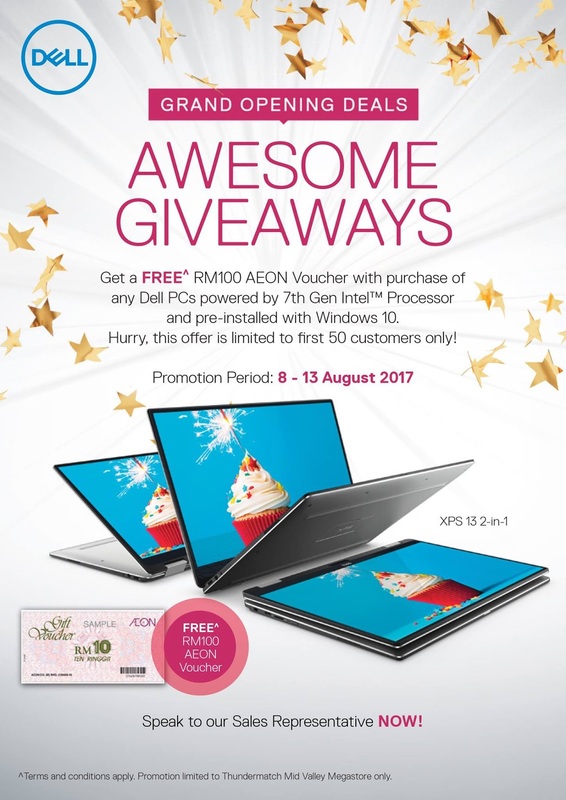 Be the first 50 customers who purchase any model of Dell PCs powered by 7th Gen Intel Processor and pre-installed Windows 10, will get a RM100 Aeon shopping voucher for FREE. Promotion from 8th Aug to 13 Aug, 2017. Don't miss out!